Since that time, we’ve had two renters in it. The first renters were really good and took great care of it. The second renters were not good. They took decent care of it for the first two years. Then over the last year, they pretty much stopped taking care of the house. During that time, we asked them to take better care of it multiple times but there was no improvement. Finally, we decided we must ask them to find a new place to live. About two weeks ago, we went to see the damage and it was pretty bad. There were large spills all over the floors and the walls were filthy. There were also holes in the wall and other damages to the house. We were very sad and disappointed to say the least. We took great care of the place and so had the previous renters only for these renters to trash it. Let’s just say, we knew we had our work cut out for us. Since the house was in such poor condition, we knew minor changes and fixes would not get the house where it needed to be. We knew we had to do a complete makeover. This last week, we tore out all the carpet and other flooring and installed laminate flooring on the first floor. We also have a carpet company scheduled to install new carpet on the stairs and throughout the 2nd floor. But that’s not all; we also repainted the entire interior. Every wall in the house got a new coat of paint. The house looks a lot different from how it did the first time we went in after the renters were out. It looks a lot better and once the new carpet is in, it will look even better. As with this story, there are times when as a leader you must go into a situation and do a complete makeover. If we would’ve gone in and just fixed the minor damages but left the flooring as is, there is no way we would get new renters in the house. We had to go in, clean the house and pretty much redo everything so it is a place people want to live. I am a big advocate of constantly making incremental changes to get better. That is an easy way to improve and make progress. But sometimes that is not enough. When an organization is headed in a bad direction, it’s losing customers, the financial numbers are not working out, or there are other major problems, a complete makeover is required. This happens a lot in business. Sometimes that means layoffs, changes in management, or even changes in company vision and product lines. All those things enable companies to completely transform so they can be much more successful but in a new direction. When is a complete transformation and makeover required? As with my story, the house was falling apart. It was not appealing to anyone, and if we would’ve left it as it was, there is no way we would get new renters. The same approach can be taken with businesses. As you lead in business, if the ship is sinking or headed in a completely wrong direction, it is likely time for a makeover. On the other hand, if everything is progressing in a good direction and there is room for improvement, then small changes can be made for progress. I wish there was a simple one-size-fits-all answer I could give you so you knew exactly when a makeover was required. Unfortunately, leadership and organizational management is not that easy. There are many factors that contribute to the eventual outcome and destination. Are we leading the industry? Is our product one of the best in class? Are the employees happy with the work environment? Is the overall income more than the expenses? And will that continue long-term? Are we positioning ourselves to be market leaders? Do we have a competitive advantage that will continue our progress and growth? Is our product or service highly sought after? Am I leading in a way that makes people happy to be here? Are people willing to change for progress? If you do nothing, will the company ultimately fail? This is only a small list of questions, but it helps get you thinking about how you are leading the organization for future stability. They also help you look at your leadership and the leadership of those around you. Making the decision to change through a complete transformation and makeover is not an easy decision. It is hard! There are many factors, but as you thoughtfully consider the questions discussed, your industry specific circumstances, and the long-term vision of your organization, you’ll have a feeling on what you should do. Don’t be afraid to follow your gut feeling once you have done the research. I hope this helps you as you are going through difficult situations. Leadership is not always easy and sometimes requires you to make tough decisions, but that is how change and progress happens! Thank you for listening to this episode of the Leadership Done Right podcast. 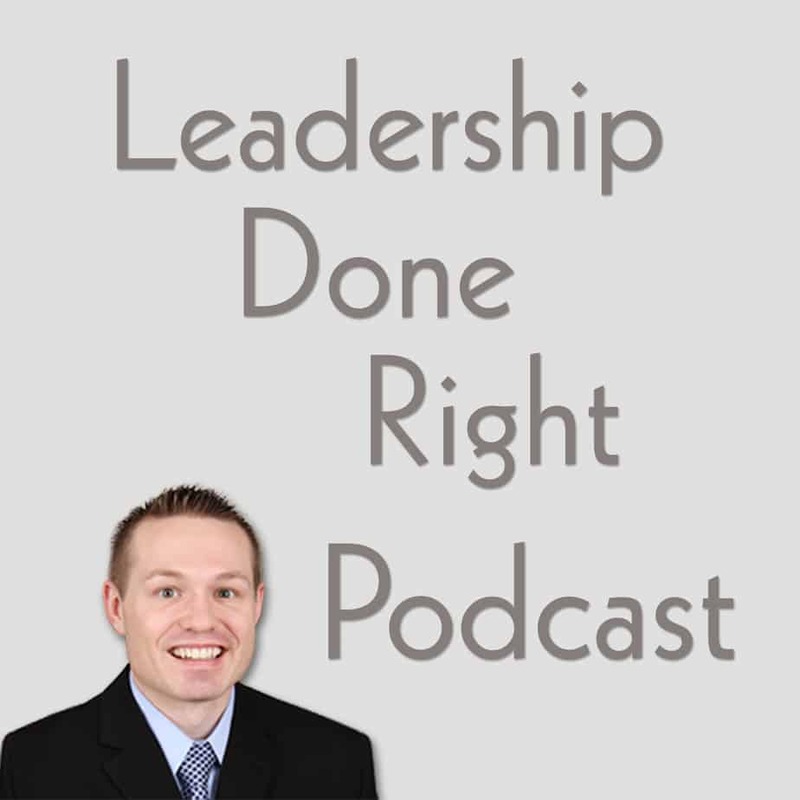 You can check out the show notes at LeadershipDoneRight.com/PodcastEpisode68.